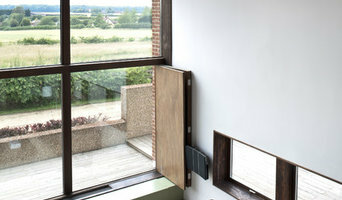 Planning an extension or renovation? Granit is residential architects practice in London with over 27 years experience of designing private luxury homes in London, the UK and abroad. We have worked on everything from new build houses to basement conversions, from space-creating inner London work to fine period and country properties, and on projects around the world. It all adds up to a residential architecture knowledge bank that’s hard to match. If you’re planning any building work, consulting experienced residential architects means you can expect innovative design and an efficient, smooth project. We look forward to hearing from you. We believe that good architecture directly influences the quality of our lives. As award winning architects, our objective for each project is to exceed your expectations. We are efficient, hardworking and above all, we listen to our clients and develop beautiful designs. With over 30 years experience in the industry, our considerate approach to work begins with finalising the design and budget. By fusing a pragmatic and creative design process, we ensure our clients dreams come true! We manage the building process from start to finish giving expert advice at every stage of the project, based on over 20 years of practice experience. This is to ensures you have a design that far exceeds your objectives, is completed within an agreed times scale and to the agreed budget. Not only can we interpret your wish listed into great designs, we also guide the designs through the planner process and then realise them on site, project managing the build. We have the expertise to administer and project manage between you and the builder, ensuring your project does not run in to costly errors and completes on-time. Is your home in a conservation area? Our London team of RIBA-accredited architects work primarily in the residential sector in and around Central, West and South London, in areas such as Clapham, Battersea, Wandsworth, Kensington & Chelsea, Fulham and Wimbledon. Since the foundation of Giles Pike (formerly The Pike Practice) in the 1980’s we have successfully completed over 700 building projects and accumulated a considerable portfolio of architectural work across a wide spectrum of building types. In September 2013 we were selected by The Sunday Times as one of the top 25 residential architects in the country. We hold fast to the tenets of classical modernism and Bauhaus design principles. In our view, good design should be timeless and enduring, and should not be influenced by fads and fashions. We believe in the mantra that ‘form follows function’, and that the value of any architectural design is enhanced by its utility. Over the years we have developed a brand of ‘user-friendly minimalism’. We promote the concept of creative living by delivering innovative, dynamic architectural spaces, which are easy to live in and inspirational at the same time. Our creative energies are bolstered by our practical approach and a sound knowledge of building technology, as well as by an understanding of the ever-increasing demands of legislation and statutory requirements. Our success rate for planning permission is in excess of 95%. We are award winning, RIBA Chartered Architects and designers, dedicated to the creation of better buildings and places. 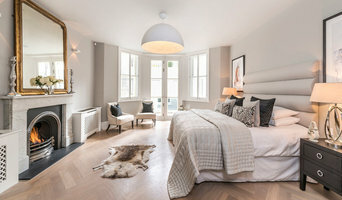 Architecture for London has a portfolio of unique residential projects that are finely crafted to our clients’ requirements. Our work includes both new build houses and alterations to existing homes, from London house extensions and basements to lofts and garden rooms. Each provides inspiring, light filled spaces for living and entertaining. We have extensive experience with heritage properties, where there is often a need to balance sensitive refurbishment with carefully considered contemporary extensions. Projects are designed holistically with architecture, landscape, joinery and interiors each interlocking to form a coherent whole. We can achieve Passivhaus standards with dramatically improved thermal performance, creating warmer and more comfortable homes. 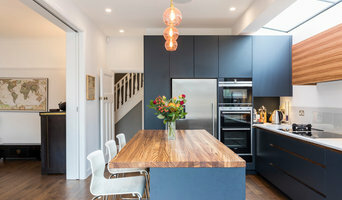 Our residential projects are widely recognised, with recent shortlistings in the AJ Small Projects, AJ Retrofit and NLA Don’t Move Improve awards. Call us to discuss your renovation! How do I choose the right London architect? Begin by determining the type of architectural service you require. Is it merely advice that you need? Or a detailed set of architectural design plans? Are you hoping to add a single-storey extension or are you really looking for someone to design you a custom home and handle construction management right through to completion? One of the most important duties of full service architects in London is to serve as project managers and supervise most aspects of construction as well as facilitate communication between all other contractors. Architecture is an incredibly technical profession and one where getting things wrong can literally put lives at risk, so do background checks on your London architect. Check they are registered with architecture associations such as the Architect’s Registration Board (ARB) and The Royal Institute of British Architects (RIBA). Being part of an architecture association means that an architect or architecture firm has met certain standards, qualifications and practices, and can be held accountable if they don’t meet these standards. It’s advisable to choose architects that specialise in the kind of project that you are undertaking as their existing experience will shine through in the completed design. Look for an architect in London that can provide references and reviews of their previous work. Once you have determined the service level you need, your next consideration will be architectural style. Some architects specialise in designing for traditional housing such as period cottages and country homes, or even in designing modern replicas in a period style. Others have a knack for imagining bolder, more futuristic architectural design in London incorporating the latest green technology. Check their Houzz profile and website for examples of previous work. Early on, try to gauge availability – there’s no point in choosing an architect that’s going to be booked for months if you have a tight deadline. Some architects are happy to do all their work online or over the phone with you, but if you’d prefer to work with an architect in person then check that your chosen architects in London will travel to you. At the first meeting, preferably at your property or building site, give as clear a picture as possible of the kind of home you are trying to create to your architects. Chat through your goals, projected budget, scope of work, schedule and feedback, together with any very specific requirements you might have. It is crucial that your architects are clear about their responsibilities and that these are documented in the contract. Ask them to walk you through the process, including the number of architectural design consultations, site visits and what they will be delivering and when, e.g. feasibility study, a technical drawing, tender package and/or planning application drawings. They could illustrate this using a previous client’s project. Also, what does the architect need from you? Deeds, rights of way, deposit, staged payments etc. Once you have covered all this detail, you are ready to make your choice and get started. The architecture company in London that you hire will likely start with concept drawings and finish with construction drawings and documents. Some firms even design with 3D renderings, CAD and videos, but this is by no means essential. You are looking for architects in London that have the right balance of creative flair, technical nous, practicality and impeccable service to see you through. Get a sense of whether they are a good listener, collaborator and problem solver. Checking their references will also be invaluable at this stage so look at their Houzz profile for past customer reviews. Ask to speak to previous clients, particularly regarding their responsiveness and ability to work creatively around a budget. There is no set payment structure for an architect. Some London architects will charge an hourly rate, others base their fees on a percentage of the total construction cost or propose a fixed fee (payable in instalments) for projects such as house extensions or a complete home design. You may wish to pay in stages to safeguard against any possible dissatisfaction with the quality of service. Make sure the total figure and payment schedule is agreed as part of your contract, particularly if you are trying to accurately estimate the cost of building a house. What are the important questions to ask architects in London? How long have you been an architect in London? Are you part of ARB and RIBA? Are you part of any other associations of architectural design in London? 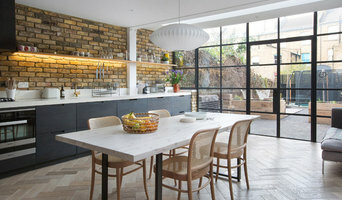 Find architects in London on Houzz in the Find a Pro section today. Start by browsing the architects and London architectural design firms near you and assess their reviews, latest projects and contact details.